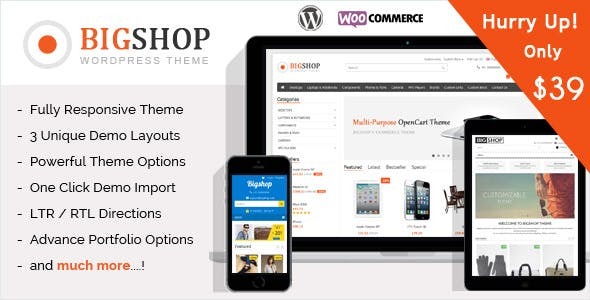 Multi-Purpose Responsive WordPress & WooCommerce Theme with eCommerce User Experience and extensive functionality. also, Utilizes many advanced plugins (Visual Composer, Revolution Slider, Mega Main Menu). It’s perfect & corporate layout for any kind of web shop, Personal Blogging, Portfolio website. Created a highly customizable and User/Developer friendly WordPress theme. SAVE YOU $68 – The WordPress theme includes the best selling slider plugin – Slider Revolution (save you $19) , the amazing WordPress Page layout builder – Visual Composer (save you $34) and amazing menu plugin – Mega Main Menu(save you $15). 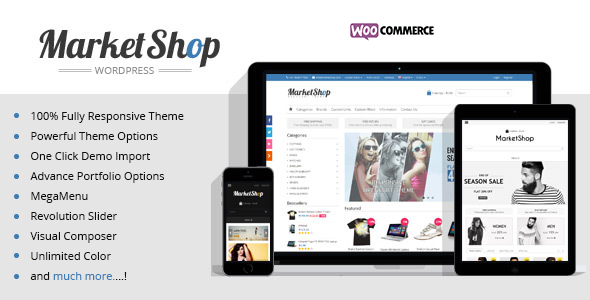 MarketShop comes with several useful shortcodes, widgets, custom post type to make your site to look professional.